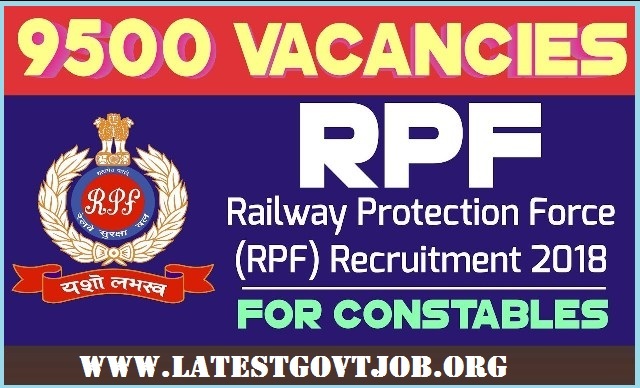 Railway Protection Force (RPF) Recruitment 2018 For 9500 Constable Vacancies | www.indianrailways.gov.in : Railway Protection Force (RPF) has released a notification for the recruitment of 9500 Constables. Interested candidates may check the vacancy details and apply online after the dates are announced. Selection of candidates will be made on the basis of Computer Based Written Examination, PET, PMT and Medical Examination. Interested and eligible candidates may apply online through RPF website "http://www.indianrailways.gov.in/".